Posted 01-23-2019 by Mary Scott Hodgin. Layla Brown is one of five midwives who recently received a license to attend home births in Alabama. For the first time in more than 40 years, Alabama has licensed professional midwives. Last week, the newly formed Alabama State Board of Midwifery issued credentials to five women, who can now legally attend home births in the state. But some say there is more work to be done. Layla Brown, a midwife from Fultondale, is one of five women who recently received a license to practice in Alabama. Before that, Brown says she still attended home births, but it was risky. Without a license, she could have faced criminal charges for delivering babies at home. 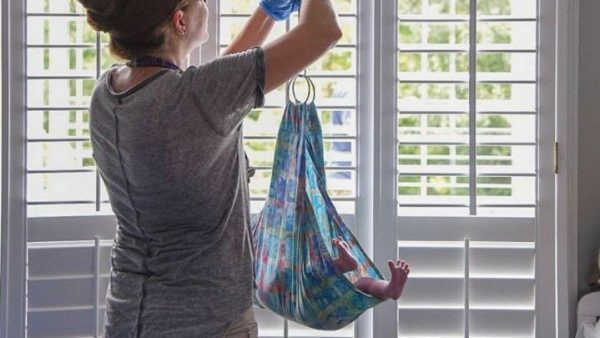 The new licensing process comes after years of lobbying and regulation passed in 2017 that laid the groundwork for midwives to legally attend home births. To gain the credential, a midwife must be a Certified Professional Midwife (CPM) and buy liability insurance. The law also limits the scope of what midwives can do and the types of pregnancies they can attend. Brown says it is not perfect. Licenses are administered by the Alabama State Board of Midwifery. The group plans to meet May 3rd to review the next round of licensing applications.